Myra Greene’s practice is defined by prolific periods of production within distinct and specific bodies of work punctuated by conspicuous shifts in subject matter and medium. Frequently figurative and always relating to identity exploration, her works often involve an additional level of intervention or mediation. Whereas many artists see a printed self-portrait or a resolved collage as the final product, for Greene these serve as raw materials. She spends as much time meticulously exploring and developing processes as she does executing finished pieces.Greene, an associate professor of photography at Columbia College, just closed a solo show at Patron Gallery and also represented the new Chicago gallery at this year’s VOLTA Art Fair in New York. 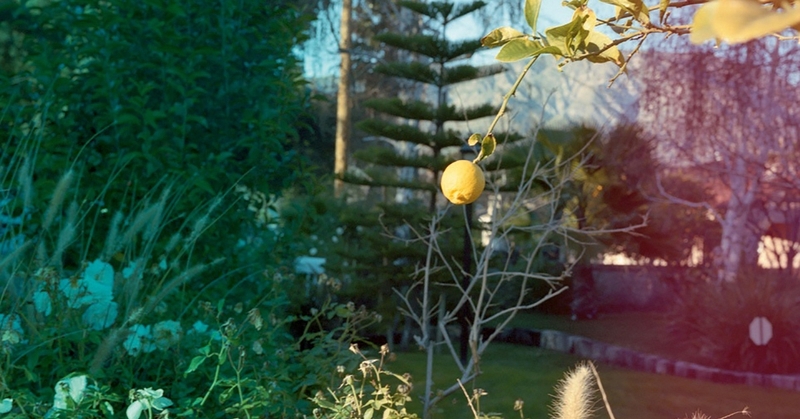 In the fall, her work will appear in group shows at the Houston Center of Photography and the Grunwald Gallery of Art at Indiana University Bloomington. At Patron, Greene highlighted selections from two series of self-portraits. In “Character Recognition” (2006-2007), Greene composes extreme close-ups of parts of her body that she identifies as particularly racialized in post-colonial public discourse: lips, nose, eyes and skin. 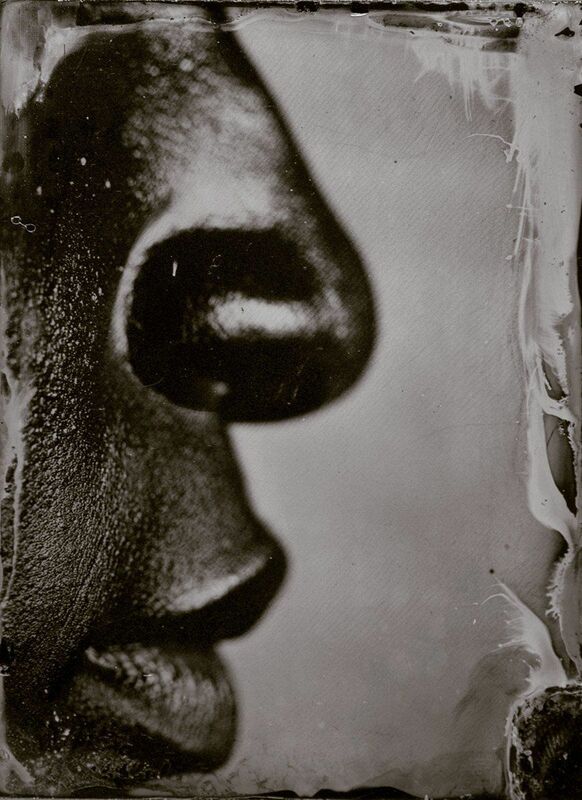 Roughly hewn black glass plates serve as the supports for these tiny ambrotypes, which she locates in dialogue with both post-Katrina portrayals of abject black bodies and the colonial-era practice of using wet-plate collodion processes to photograph slaves. 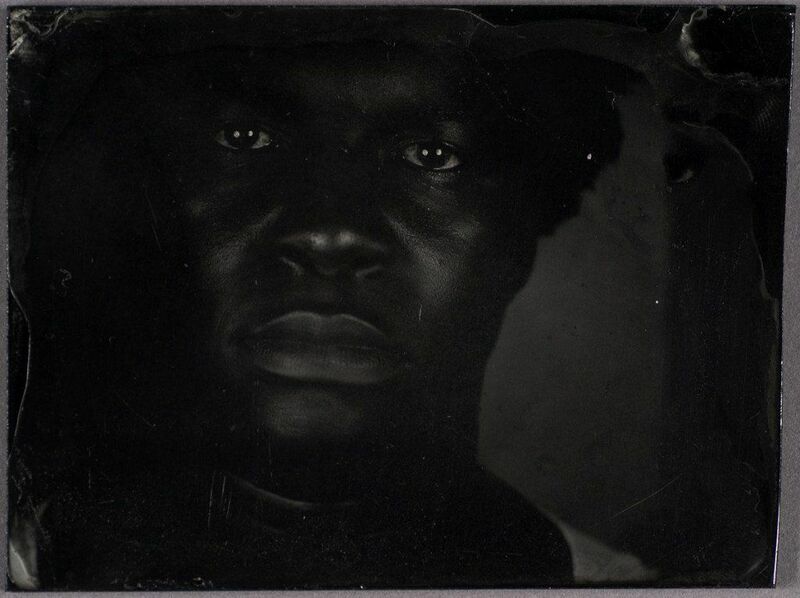 Greene notes that ambrotypes have long been associated with ethnographic classification. Slightly larger and more abstract, the works in the series “Self Portraits” (2002-2004) are manipulated nearly beyond recognition. These inkjet prints are based on large format Polaroids also of Greene’s body. Greene allows the sensitive negatives to rot and erode before she manipulates, scans and prints them. The resulting works read as more painting than photography with their gangrenous palettes and velvety surfaces. Between 2007 and 2012, Greene developed an exhibition and corresponding book titled “My White Friends.” Turning the camera away from herself, she refutes the prevailing assumption that people of color should bear all the burdens of considering racial disparities and oppression. White privilege grants certain among her cohort the luxury of choosing whether to think about race or not, whereas people of color do not have this option. Accordingly, Greene asked her white friends to perform their race in response to the prompt “What makes you feel white?” These staged tableaus consider the intersectional representations of race, class, gender and normalcy that emerge in everyday social conditions. Greene’s current work shifts forms and materials toward collage and textiles. She developed and first exhibited her fabric-inspired series “sketches for something bigger/brighter/wider/higher” as a BOLT resident at the Chicago Artists Coalition. These works explore how non-figurative works can also be investigations of constructed racial identities. Greene based them on her collection of African textiles, which she distills and deconstructs into basic colors and patterns that she then remixes and reassembles into built photographs, collages and quilts. 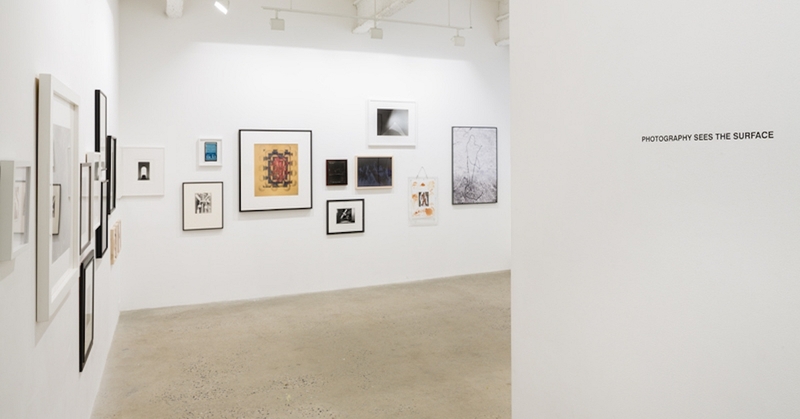 Ranging from contemplative to chaotic, these new works are both formal and conceptual studies integrating printmaking, design, embroidery and quilting.